Upside down, right side up, none of this matters when it comes to Namco Bandai’s Inversion and so I was lucky enough to be invited down to the UK office a second time to play what was potentially the final build. Unlike before, this time I was able to give the campaign a run and all the multiplayer modes where included but the question is… how does the game fair? From what I played through, the single player campaign seems to be pretty solid, switching between straight up –intense shooting to more atmospheric stealth sequences. The basis of the story is that you take on the role of David Russel, a cop and father who finds his daughter missing while his city was being invaded. He teams up with his partner Leo Delgado in which they both look to save the world. Wheee, I can fly now! Through all this, it’s pretty much a generic shooter that makes use of interesting cinematics and gameplay moments to keep it fresh e.g. Moving from rock to rock due to gravity messing up the environment. The main factor here is fun and from the time I spent on the campaign, its more than fun to play but like with all stories, the end has to be on par or the whole experience could be ruined. I got really excited about the use of gravity throughout the game to solve small puzzles and defeat enemies making it, its strongest point. The “fun” factor is carried on to the multiplayer making for some intense yet hilarious games. There are the standard Team Death Matches and Free for All but the one that probably gives the biggest adrenaline rush would have to be King of Gravity. In this game, players fight for the only Gravlink available on the map. Picking it up enables you to make full use of its gravity function however every other player will be trying to kill you in order for them to use it themselves. You can gain points by killing the player with the Gravlink but also killing others if you have it on you. What’s great about the multiplayer is that it takes standard games but adds twists to them to make them more interesting or unique. 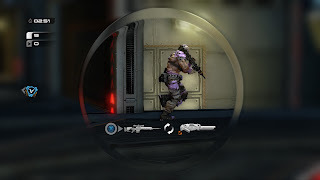 The use of gravity in matches to either completely flip maps or climb areas that are normally inaccessible adds a sense of challenge and flair to what is already a game that utilizes a lot that is seen in current shooters. 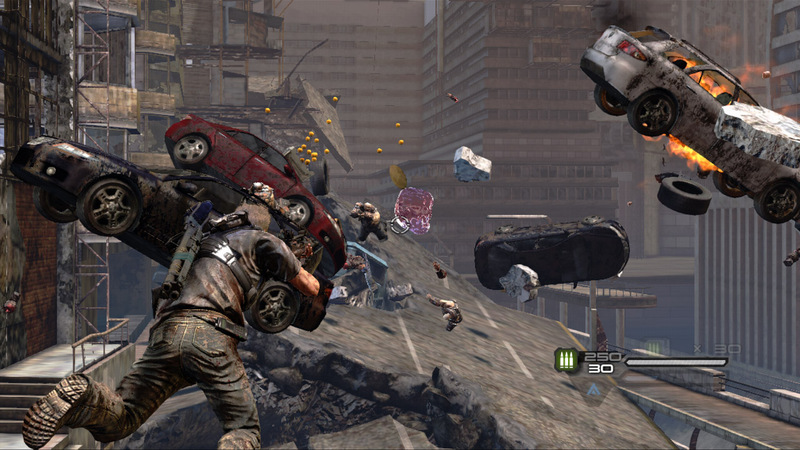 Another big aspect of the multiplayer is its Co-op in which the game was basically designed around. You and a friend can complete the entire story mode together this way instead of relying on AI to control Leo Delgado. Inversion looks to be a solid game but like all previews, we still need to see the full product before making full judgement. The main campaign is almost a thrill ride as you try to take on hordes of enemies while mastering gravity and then jumping onto multiplayer brings hours of replay value. 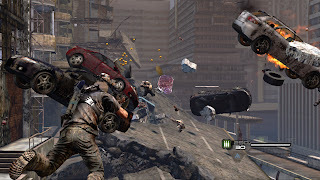 Inversion is scheduled to be released on the Xbox 360, PlayStation 3 and PC July 2012.